The Sony RX100 VI Cyber-Shot camera comes with a 1-inch EXMOR RS CMOS sensor with 20.1 MP stacked on it and structure DRAM. The camera also sports a 24-200MM kit lens that should be able to zoom approximately 11X optically. The max aperture size is F2.8-4.5 and mechanical shutter speed has been recorded at 1/2000sec. Whoa! Now that is super quick. It’s like you don’t even blink and you still miss it. Moving on, users can shoot pictures at 24 frames per second with auto focus and AE tracking. ISO sensitivity range starts from 125 and goes all the way to 12,800. Auto Focus system is available as hybrid and AF speed is 0.03 seconds. Phase detection has also been thrown in the mix. The Sony RX100 VI Cyber-Shot comes with a tilt-able 3-inch touch screen at the back with 4:3 aspect ratio. This supports 921 dots per inch. Videos can be recorded in 4K at 30 FPS. Super slow motion video recording is available at 960 FPS, too. The cameras body is built out of aluminium and comes with a rechargeable battery that can take up to 240 shots after full charge. The Sony RX100 VI Cyber-Shot weighs 274 grams. Other features of the camera include Wi-Fi, NFC, silent shooting mode, electronic viewfinder and optical image stabilisation. This camera is priced at Rs 99,990 which does seem to be a little steep at first, but once you look at the kind of features it provides, it is somewhat justified. 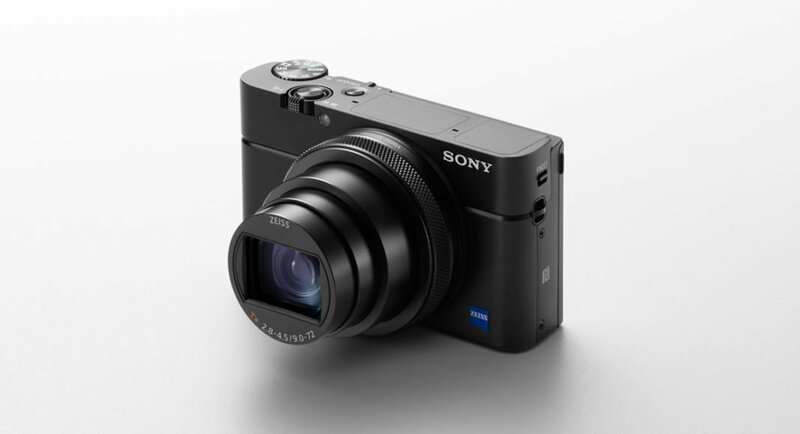 The Sony RX100 VI Cyber-Shot will start selling on 6 July via all Sony exclusive showrooms.